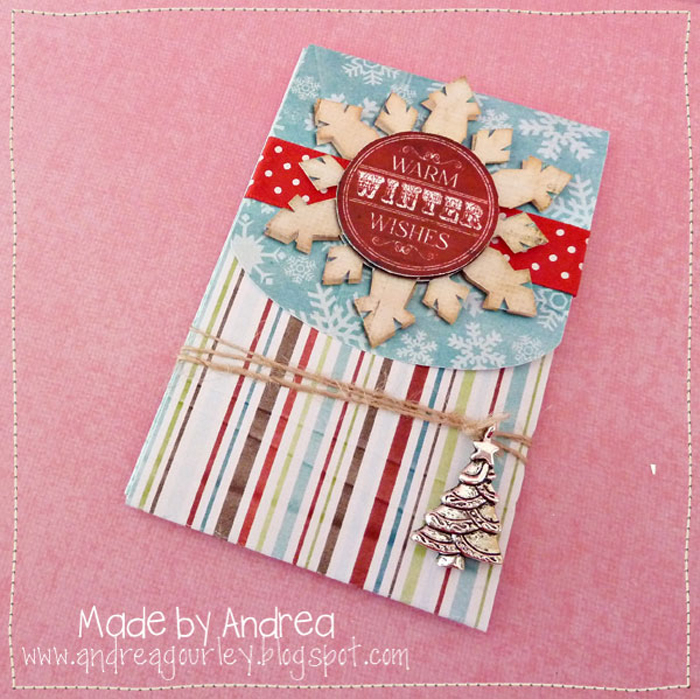 Posted by Sweet Shoppe Designs under Getting Started, Hybrid Projects, New To Digiscrapping? 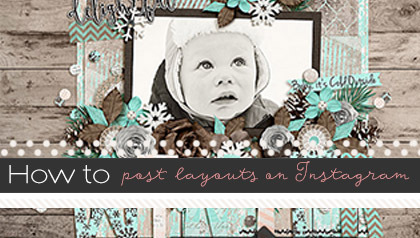 Hybrid papercrafting is essentially the joining together of traditional paper crafting (scissors, paper, and glue) with digital designs (computer, graphics, etc.). 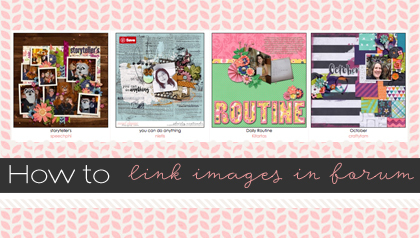 When you begin to print digital designs to use in your crafting, you are creating “hybrid” papercrafts. So, if you print papers to use or simply use your computer to print out sentiments to add to your cards then you’re utilizing both traditional and digital methods and creating hybrid art. 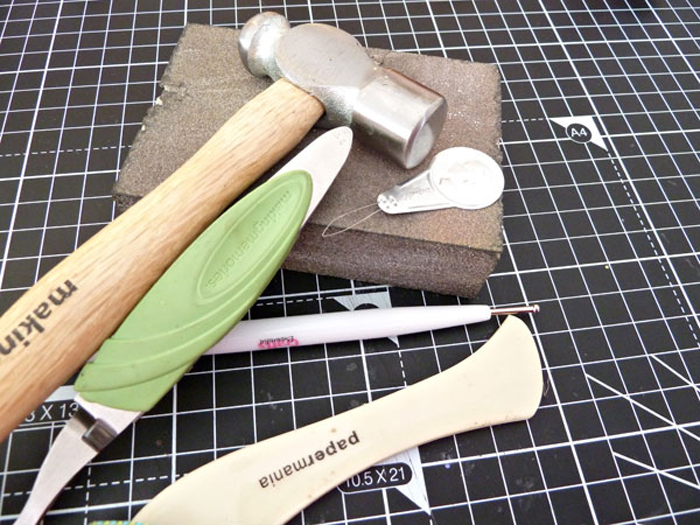 The basic tools of hybrid papercrafting are the ability to print from your computer (most people have a home printer but you can use a printing service), something to cut with, and some way to join it all together, which is what I want to share with you today. So, I thought I would share my essentials tool box with you. This goes with me to crops, crafting weekends away from home, as well as sitting in the drawer right under my desk so I always have my basics to hand. 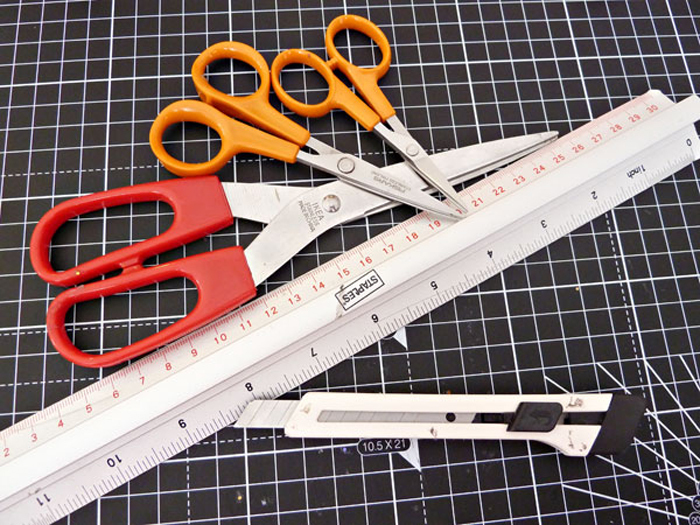 Once you’ve printed your digital designs, whatever they may be, you’ll need to be able to cut them out. I have a cutting mat (to protect my work surface and available from any art and craft store), craft knife, and a few pairs of scissors—large general purpose scissors for cutting all sorts of stuff, smaller pointy scissors for cutting intricate pieces of paper, and a tiny, very sharp pair that I keep only for cutting ribbons (super sharp so I get a nice clean edge). 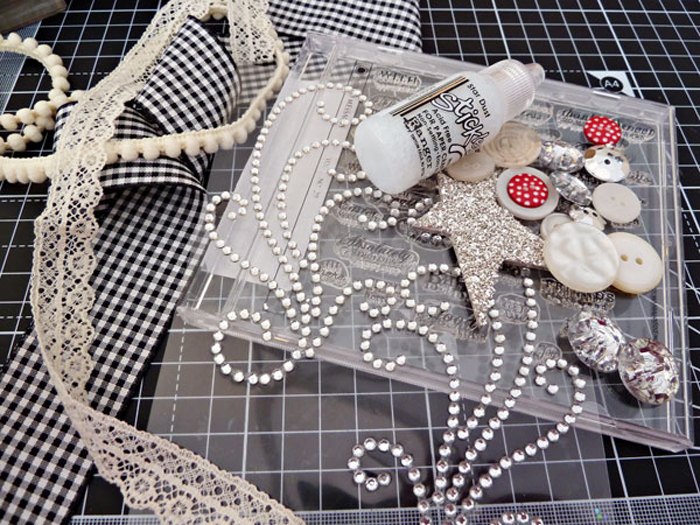 Once you have cut out your designs you need adhesive to be able to join the bits together. And, this is where the range of choices is vast and quite a personal choice. 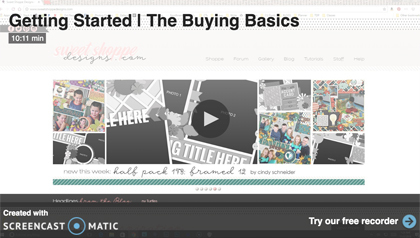 I don’t have a huge range, but what I do have I use a lot and for different purposes. Tombow Gluestick: Fantastic for covering chipboard mini albums and chipboard letters and shapes with patterned paper. Once it dries, those papers are stuck! Dimensional foam pads: Available from all art, craft, and even stationary stores, they come in all sorts of shapes and sizes. I prefer a smaller size and I use them to raise and separate the layers of my cards and projects and to give extra dimension to key design areas. Ultra sticky “red tape:” Available in craft stores, this is the perfect tape for attaching ribbon, lace, and bows as it is super sticky, doesn’t dry out, and keeps everything stuck in the correct place. 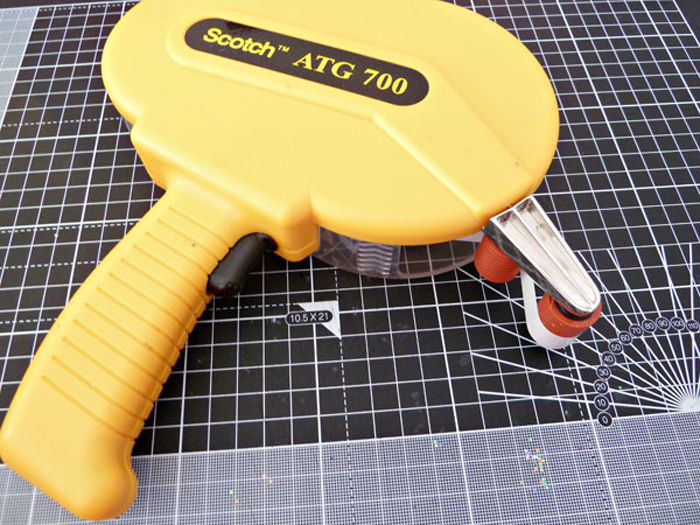 My other essential adhesive is my ATG tape runner. I would really recommend this to anyone who is going to do a lot of hybrid crafting, and I use it for adhering paper to cardstock. If you are only doing a few hybrid projects then ordinary double sided tape is perfectly adequate or you can use the gluestick mentioned previously. Now that we’ve talked about cutting tools and adhesives, we move out of the basic tools categories and start to think of other tools and resources that can be used to enhance your projects and make life a little easier whilst working on your projects. A corner rounder tool isn’t essential, but it can make chipboard mini books and cards have a softer more rounded look and is great when making mini books for young children who might drop them a lot as when the corners have been rounded off, then there is nothing left to bash when it is dropped so your projects stay looking neat and tidy for longer. I also use my corner rounder to take the corners off some of my cards just for a different effect. I chose the Bind It All corner chomper which will cut through chipboard easily. But, there are other cheaper punches available that will cut through paper only if you are never going to use chipboard. 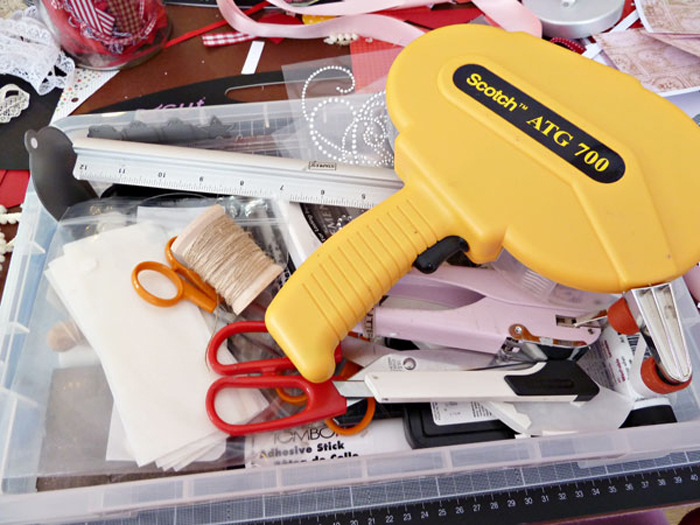 I have a few other tools in my essentials box that make creating projects a little easier for me. Small hammer: Useful for all sorts of things such as flattening the backs of brads and metal embellishments and bending the metal stalks of artificial flowers. Tweezers: For positioning tiny items such as pearls and diamante without getting glue everywhere! 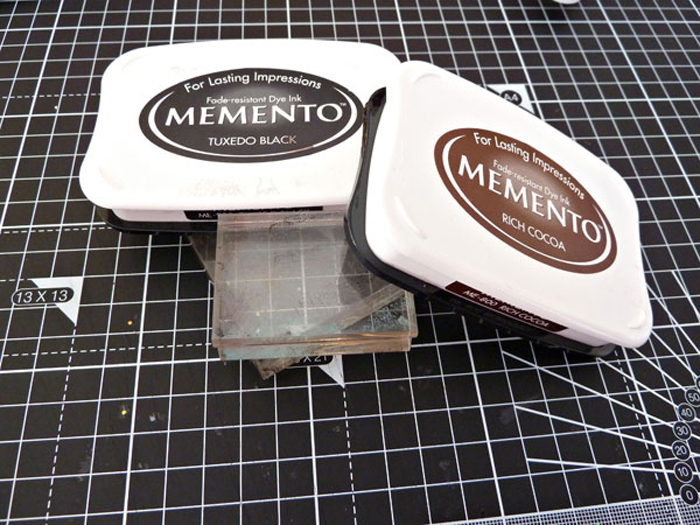 Sanding block: Sanding any rough edges of chipboard and wooden items I may be altering or decorating and for giving a distressed edge to paper and cardstock layers. 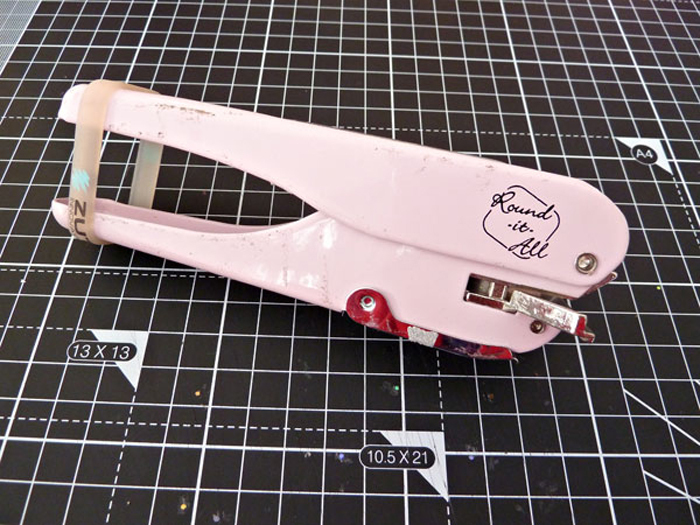 Needle threader: Really useful for threading thread and twine through the small holes of buttons, bells charms, and other embellishments you may want to tie onto your project. Pokey tool: This is really any small pointed tool that is useful for pushing the centres of punched holes out or nudging small elements into place. Creasing tool (also known as a bone folder): Used for smoothing along any folded or creased paper to give a nice clean, sharp edge. Finally, I have my Martha Stewart scoring board that doesn’t fit in my box but is never far for me. 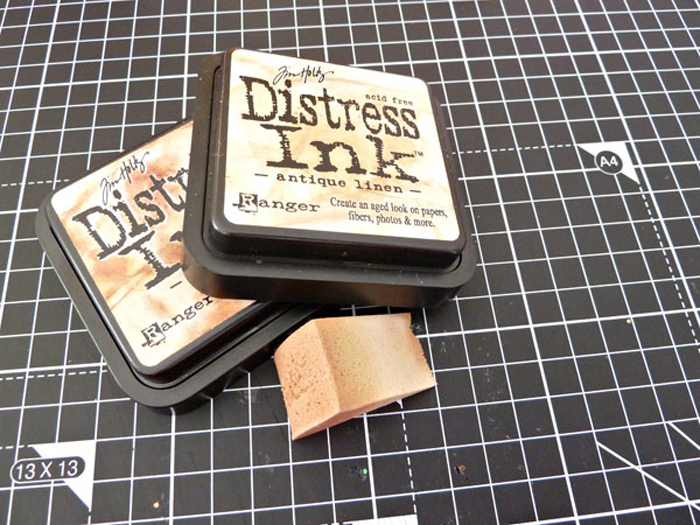 I use this to score and fold all my card bases and boxes as well as other folded projects, and it is an invaluable part of my kit. 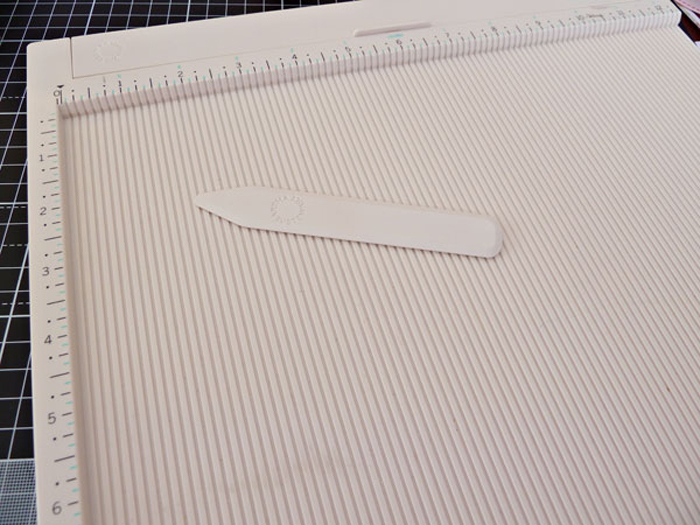 Use it for any project where you need to score and fold flaps, lids, covers, and tabs. There are many scoring boards available, but this is my preferred choice and one that I would highly recommend. 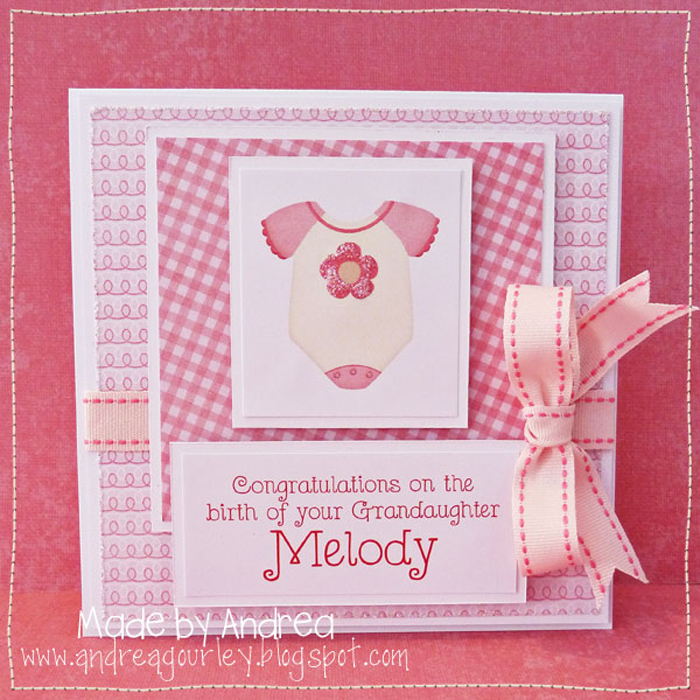 Once you have made a few hybrid projects, you may want to start adding extra embellishments or introduce an extra element such as rubber stamping. There are thousands of embellishments that you can use to decorate your hybrid projects, but these are just a few of what I use all of the time: ribbon, lace, buttons, sparkly stickers, glitter, chipboard shapes, and a fantastic glitter glue called Stickles by Ranger that I use to give a hint of sparkle around the edges of projects (it goes on raised but will dry flat). I also enjoy adding sentiments to tags using small rubber stamps.